Motel 6 in Redding California was reportedly infested by bed bugs. To help its owner and the many other bed bug sufferers, BedBugControl911.com suggested the use of non-toxic Bed Bug Bully. Bed bugs love heavy traffic places. Hotels are some of their favorite places to infest. 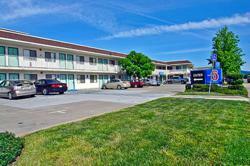 According to an online news site, krcrtv.com, bed bugs attacked Motel 6 in Redding California last February. The motel, which stands at Twin View Boulevard, gave its customer Mike Rigney more than 200 bed bug bites, the report said. Shasta County Environmental Health Division checked the motel and found out that eleven of its rooms were infested. The affected rooms were blocked off and professionally treated. When asked about bed bugs, Cindy Lakman, the county's public health nurse said, “...Lots of times, they come from other hotels, other places and they hitch a ride in your luggage. Most people who get bitten by bed bugs don't know they've been bitten; they don't have any welts." To help hotel owners and other bed bug sufferers solve their bed bug problems, BedBugControl911.com advised the use of a newly developed bed bug solution. Called as Bed Bug Bully, the product offers a non-toxic way of getting rid of the pests. And as a green bed bug control aid, many are impressed with the way it works. Made from 100 percent natural ingredients, Bed Bug Bully had been a big help to those who suffered from bed bug infestation without requiring evacuation. With its effectiveness and greenness, it makes an effective and affordable help in getting rid of bed bugs yourself. For bed bug victims to see how effective and eco-friendly the product is, the site is giving out free samples of it. To get your own complimentary sample, visit http://www.bedbugcontrol911.com.